Gliderol's roller shutter garage doors are rigid, secure and personalised to your needs, spanning from continuous curtain roller doors, to insulated and industrial garage doors - Glidarol have got you covered. 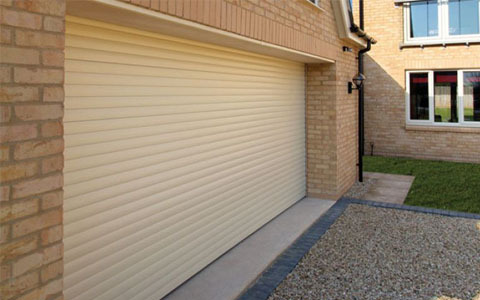 The Gliderol roller door is a space-saving, continuous curtain roller garage door. The single skin, non-insulated steel structure gives it a lightweight profile which can be used with great ease when there is no operator attached. 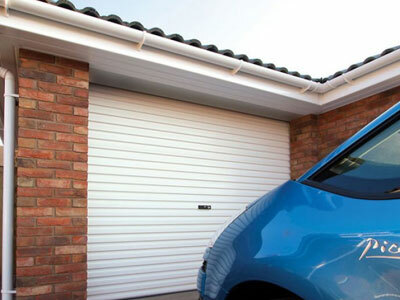 Unlike traditional garage doors, the Gliderol does not swing out in front of the garage - it rolls up vertically, allowing for more driveway space and more storage space in the roof of the garage, allowing you to optimise the available space in the garage and on the driveway. Every roller door is made to order at no extra cost to optimise your garage opening every time. With it designed to be installed behind the structural opening, this door gives maximum width and height for driving through it and puts all moving parts out of the way behind the piers. The Gliderol roller door has a double-sided locking system that is manually operated from the central handle as standard, allowing you to use the lock from both the inside and outside of the door, giving you peace of mind as you can secure your property from either side of your garage door. 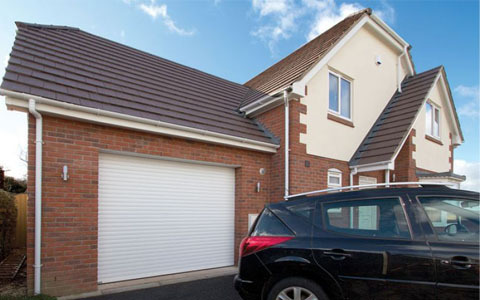 Additionally, it is manufactured with a unique profile and aluminium bottom rail to strengthen the garage door against any form of penetration by an intruder, as well as a durable sealant to prevent outside elements and debris from entering your garage. The glider roller door is effortless to use. It opens and closes reliably with minimal noise and friction, giving decisive performance during every cycle. Say goodbye to oiling and greasing - just an occassional and simple clean of the guides and door surface and you're ready to roll again! The curtain, with galvanised steel channels either side, simply slides into position without any issue of having any form of hinge or mechanism on show, giving your door a presentable and stylish look that will be desirable for a long period of time. The glider roller door will give you the opportunity to add electric operation with the Glidermatic GRD operator at any point when your garage door is installed; it allows the chance to use your garage door from the comfort of your property or car for ease of access. With an electric automatic operator, the door is able to operate from an open position to a closed position and vice versa with ease and efficiency. It offers a reduction in noise as the motor is housed entirely within the roll of the door, giving a quiet and smooth performance. You are provided with two hand-held radio transmitters supplied as standard with each door operator. There are also many other methods of operation such as key switches, digital key pads, etc. 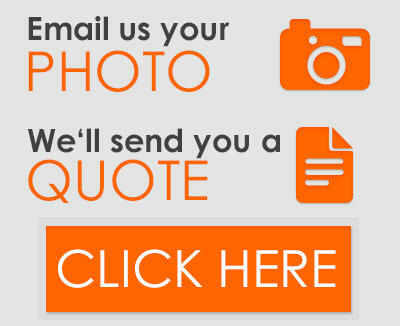 available to make the use of your door as easy as possible. The risk of using another handset sharing the same code is eliminated as the transmitter uses a different code from one of two billion after every operation. Additional transmitters are available on request and a maximum of up to ten transmitters can be used with each Glidermatic system. The roller door also functions with an automatic reverse system which stops the motion of the door should the downward path of the door become restricted. This system is foolproof and does not rely on infra-red beams - these can become misaligned far too easily and are not compliant in the UK when used as the only safety device on a remote control roller door. The foolproof system of the Gliderol is based on a current surge when the door is obstructed and immediately reverses once detected. You can add infra-red beams as an additional device if required, useful perhaps on doors near to public pedestrian walkways. And to top it off, the operator functions with an automatic light which illuminates your garage when the motor is activated for up to 5 minutes. This allows you the luxury of driving into a fully lit garage on those dark mornings and evenings without getting out of your car to put other lighting on. 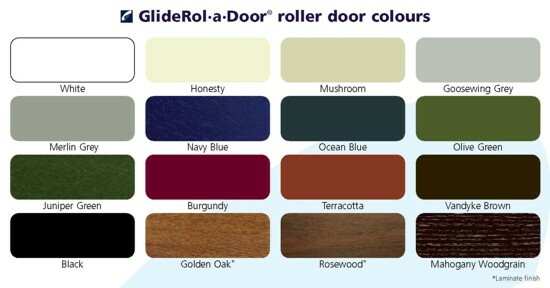 The glider roller door is available in a selection of colours and even some timber effects, allowing you to match the style of your windows and doors or the style of your home with your garage door. All colours are easy to clean and maintain, only needing water and soap to clean them down and to allow the colours to be bright and stand out against your home. Gliderol's insulated automatic roller door will provide you with great ease of accessibility as well as the warmth within your garage.The door is made of aluminium, creating a resistant frame that is filled with CFC-free foam, providing extra rigidness and insulation. The motors installed for automatic use are quiet a efficient, and can be used with various controls. To further insulate your garage, drafts from outdoors are prevented by the aluminium side tracks that enclose the end of the door curtain. 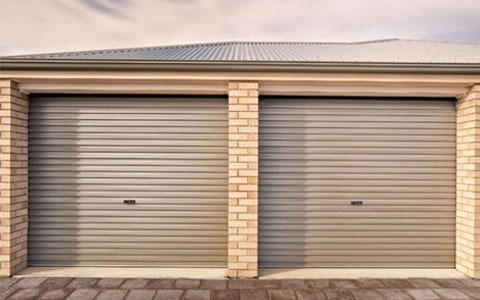 Like the steel shutter door, the insulated automatic door rolls vertically and is stored above the door, allowing for the absence of tracks on your garage ceiling. Gliderol have also got you covered if the power cuts out - the door is fitted with a hand crank you can use to operate the door. Their modern technologies also provide customers with the option of installing a smart phone application, 'My Hand', allowing you to access their garage door from your mobile phone. 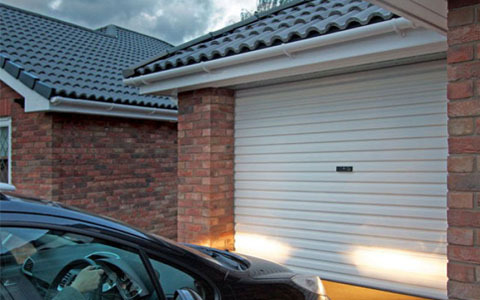 Opting for the manual insulated roller door will allow you to prevent the cold reaching your garage, simply without an automative system. The manual door uses a spring system to assist access, and includes a smooth satin locking lath for positive loctation of the locking bars, assuring you of the door's high security in the turn of a key. 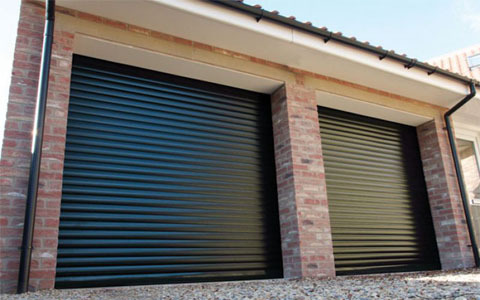 When space in your garage is limited, Gilderol offer a compact version of the insulated automatic roller door with 55mm foam filled lath, requiring only 205mm of headroom and rather than the standard 77mm deep laths, they are 55mm deep, contributing to the reduction of headroom requirement. 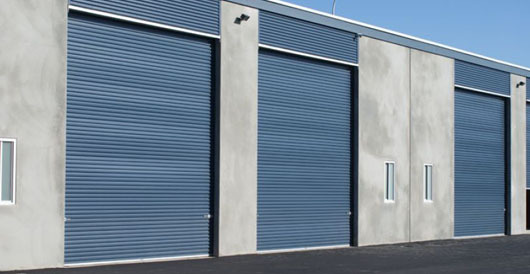 Gliderol's industrial roller door, operated by a spring assisted spindle assembly, will provide you with a durable, smooth and secure roller door for your business. The strength of the door is guaranteed by the broadline profile and aluminium bottom rail. The mechanism used to open the door, the Gildermatic GRD, has been designed specifically for continuous sheet curtain doors, and can be operated with doors up to 5m high and 5m wide. The system is designed to prevent any accidents or injury in the workplace, stopping the door function immediately when it is interrupted by an obstruction.